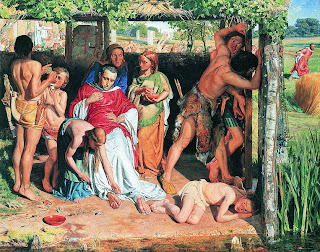 Friday 15 May 2015, 7 p.m. to 9.15 p.m.
7.2: Making connections (2): Rethinking and reshaping Christianity, from Kant and Schleiermacher to Pugin and Biblical Criticism. 7.3: Challenging myths and memories (3): The Decade of Commemorations and centenaries: how history shapes the Church agenda today. We are almost in the middle of a decade of anniversaries, and we are now into a roll-over series of commemorations of events a centenary ago, recalling the tumultuous events between 1912 and 1922 that shaped not only Irish identity but also shaped the map of Europe. It is the decade that was marked by the demise of Chinese imperial dynasties, World War I, the Armenian Genocide, the Gallipoli landings, the Battle of the Somme, the Russian Revolution, the Balfour Declaration, the defeat of Germany, the fall of the Hapsburgs, the creation of the Weimar Republic and the Soviet Union, the first non-stop transatlantic flight, the collapse of the Ottoman Empire, the winning of women’s voting rights, and the rise of Communism and Fascism. 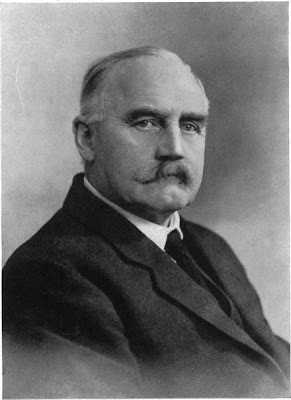 It is forgotten that modern Irish nationalism had its incubation and gestation in the revival of the Irish language – a revival in which the main players included Dr Douglas Hyde, the son of a Church of Ireland rector, and Dr Eleanor Hull in hymns such as Be thou my vision (Irish Church Hymnal, 5th ed, No 643). Alongside James Connolly, Jim Larkin Countess Markievicz and Kathleen Lynn, the founding members of the Irish Citizens’ Army in 1913, included Captain Jack White, a Presbyterian from Broughshane, Co Antrim, and the son of Sir George Stuart White. Edward Conor Marshal O’Brien (1880-1952), skipper of the Kelpie, one of the yachts involved in the gun-runnings , was a member of the Church of Ireland from Limerick and his first cousin, Brian Gwynn, was the father of the late Mercy Simms, wife of Archbishop George Otto Simms. The accounts of the Howth gunrunning in 1914 seem to overshadow the equally dramatic Kilcoole gunrunning in Co Wicklow, which was organised by the skipper of the Chotah and the King’s Surgeon in Ireland, Sir Thomas Myles (1857-1937), who was baptised in Saint Michael’s Church of Ireland parish church in Limerick City. Five Irish Home Rule MPs fought in the British Army in World War I: Sir John Lymbrick Esmonde, Stephen Gwynn, Willie Redmond, William Redmond and DD Sheehan. Many families in this part of the island – both Protestant and Roman Catholic – were totally divided when it came to loyalties at this time. Colonel Thomas James Comerford (1894-1959), who was raised in Co Wexford and Co Waterford, came from an interesting background. His grandfather, Colonel Thomas Esmonde (1831-1872), was decorated with the VC for his part in the Battle of Sebastopol in the Crimean War, his mother was three times tennis champion of Ireland, and his cousin, Sir John Lymbrick Esmonde, was one of those five Irish MPs who fought in the British Army in World War I.
Thomas Comerford served in World War I, initially with the Royal Irish Regiment and later with the Royal Irish Rifles. 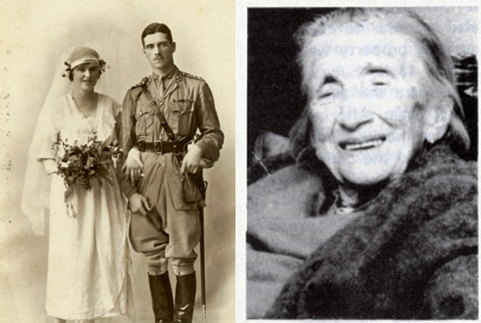 He fought at Gallipoli in 1915, where he was wounded, and was at home in Dublin on sick leave in 1916 when the Easter Rising broke out. Over these ten years (2012-2022), it is important that one single event should not dominate all the other centenaries and the memory of what has made the Ireland we know today. We should remember the Ulster Covenant, the lockouts, Gallipoli, the Somme, the men who rallied to Redmond’s call, and the poetry of Tom Kettle. Nor should we forget the diversity of contributions made by members of the Church of Ireland in those 10 years. 8.1: The National Museum of Ireland, Kildare Street. (Revd Canon Professor) Patrick Comerford is Lecturer in Anglicanism, Liturgy and Church History, the Church of Ireland Theological. This lecture on 15 March 2015 was part of the Church History Elective (TH 7864) on the MTh course (part-time). The 19th century is sometimes called the “Protestant Century.” It was a century that saw new missions being established across the world; the formation of new societies, including mission societies (CMS, 1799; CMS Ireland, 1814), the Bible Society (1804), the Mothers’ Union (1876), Sunday Schools and so on; and the meeting of the first Lambeth Conference (1867), which served to identify the Anglican Communion as a cohesive and visible communion. It was the century of a new thinking and challenges for Roman Catholics too, from Catholic Emancipation in Britain Ireland, to the collapse of the Papal States, the calling of the first Vatican Council, and the declaration of Papal Infallibility (1870). But it was also the century that saw the beginning of new post-Protestant, post-Christian groups in the US, such as the Mormons (1820s-1840s), Jehovah’s Witnesses (1870s), and Christian Science (1879). And it was a century when Christianity was challenged by new thinking, new philosophies and new politics, including Charles Darwin’s theory of evolution, the publication of Karl Marx’s Das Kapital, the development of psychoanalysis and Freud’s psychology. It was the century of steam travel for both trains and shipping, the century European powers engaged in the scramble for Africa, opening new colonies and finding new resources, and it was the century of Alfred Nobel’s invention of modern dynamite. It was the century of exploration, colonial expansion and the consolidation of the modern European nation state, from the United Kingdom in 1801, to the declaration of Greek independence, the unification of Italy (1861) and the unification of modern Germany (1871). We were seeing the world in a different way, we were moving around it in a different way, we were exploiting it in a different way, and we were thinking about it and talking about it and shaping in a different way. And we were thinking and talking about Christianity and shaping it in a different way. The reshaping of Christianity was expressed in art, architecture, hymn-writing, Biblical criticism, and poetry. There were new attitudes to the role of religion in society, and a new openness to questioning long-accepted understandings of Christianity. There were new attitudes to the authority of Scripture, ushered in both by new philosophical thinking that led to changes in approaches to theology and to the development of Biblical criticism. There was new thinking too on slavery, racism, women and war. The influences of the Enlightenment and the implications of the cultural and scientific revolution began to be felt in the churches in the 19th century. German theologians brought new critical approaches to their study of the Bible with Biblical criticism. This morning I want us to look at the influences on the development and reshaping of Christianity in the 19th century through the works of six key thinkers: René Descartes, Immanuel Kant, Friedrich Schleiermacher, Georg Hegel, Charles Darwin and Karl Mark; to look at the development and shaping of new approaches to theology through critical thinking, and briefly at how the new thinking and shaping were seen and heard in new church architecture and new church music. His proof for the existence of God starts with the idea of God which he finds within himself: whatever caused the idea must have all the perfections that are represented in it. William Marshall, in Scripture, Tradition and Reason (Dublin: Columba, 2010), draws attention to the considerable influence the thinking of Descartes had on Archbishop William Wake of Canterbury, and through him on the development of 18th century Anglican ways of doing theology. In the following century, Immanuel Kant (1724-1804) was the leading German philosopher of his day. He spent his whole life in Prussia and was Professor of Logic in Königsberg, the Prussian capital, from 1770. 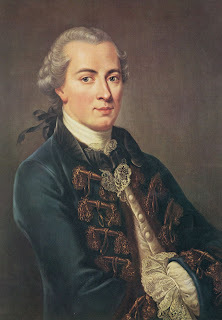 Kant is known for his ‘Critical Philosophy’ first expounded in his Critique of Pure Reason (1781). He sought to discover a definitive rationale for the admitted validity of mathematics and natural science. He argued that every event has a cause; knowledge is the result of a synthesis between an intellectual act and what is presented to the mind from without; and that all knowledge requires an ingredient derived from nature. Kant cut at the root of traditional metaphysics, with its claim to provide knowledge of subjects that transcend nature. In doing this, he invalidated the traditional proofs of the existence of God. But, while he insists that natural theology is an illusion, Kant believes that the voice of conscience in an individual assures us of truths that reason is unable to establish. Kant defines religion as the recognition of our duties as Divine commands. He holds that there is no place for mystical experience, no place for a personal redeemer, and no place for the historical as such. The German theologian Friedrich Schleiermacher (1768-1834), who was deeply indebted to the thinking of Immanuel Kant, reacted against both contemporary German rationalism and the dominant formal expressions of Christianity. He tried to win educated and thinking people back to religion. He argues that religion is based on intuition and feeling and is independent of all dogma, and he sees its highest experience in a sensation of union with the infinite. He defines religion as the feeling of absolute dependence that finds its purest expression in monotheism, with Christianity as its highest form of expression. 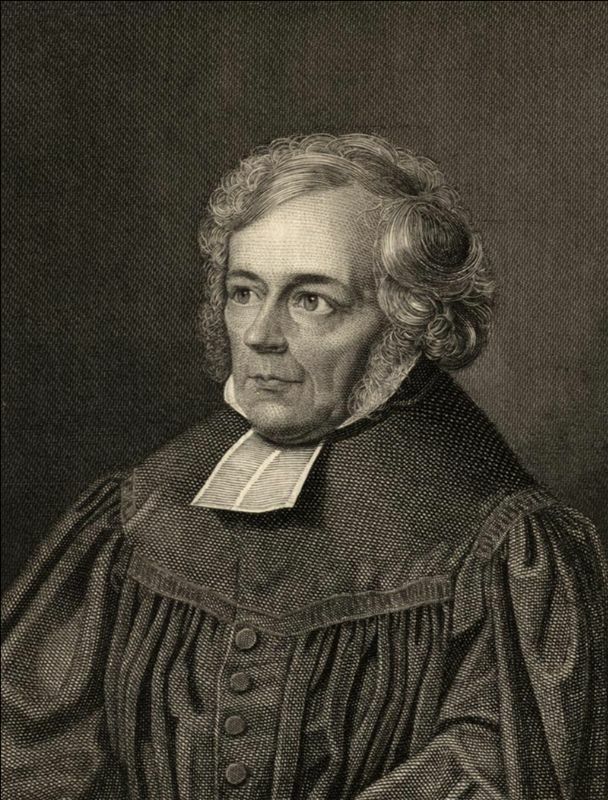 Schleiermacher ‘s contemporary, the German philosopher Georg Hegel (1770-1831), studied theology at the University of Tübingen and was deeply influenced by the 17th century German mystic Jakob Boehme. Hegel seeks to present all philosophical problems and concepts in an evolutionary perspective. 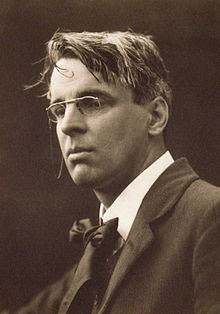 He argues that no idea has an unchanging and eternal validity. 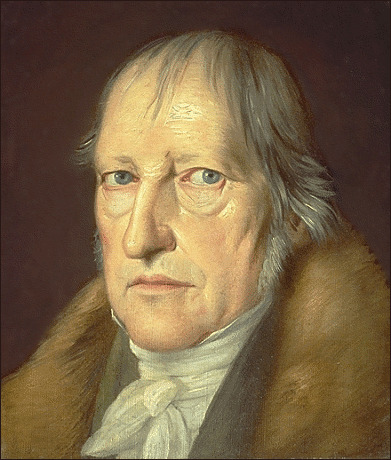 Scholars are still divided on whether Hegel was a Christian or an atheist. But he remained a Lutheran all his life, and he believed Lutheranism was superior to other expressions of Christianity. By the time he died in 1831, Hegel had become the most prominent philosopher in Germany. His views were widely taught, and his followers ranged across the spectrum of theological, social and political thinking, including Ludwig Feuerbach, Bruno Bauer, Friedrich Engels, and Karl Marx. The history of the resurrection and ascension of Christ to the right hand of God begins at the point where this history [of Christ’s death] receives a spiritual interpretation. That is when it came about that the little community achieved the certainty that God has appeared as a human being. But this humanity in God ... is natural death. ‘God himself is dead,’ it says in a Lutheran hymn, expressing an awareness that the human, the finite, the fragile, the weak, the negative are themselves ... within God himself, that finitude, negativity, otherness are not outside of God and do not ... hinder unity with God.... [D]eath itself is this negative, the furthest extreme to which humanity as natural existence is exposed; God himself is involved in this. ... For the community, this is the history of the appearance of God. This history is a divine history, whereby the community has come to the certainty of truth. From it develops the consciousness ... that God is triune. 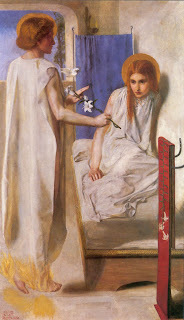 The reconciliation in Christ ... makes no sense if God is not known as the triune God, if it is not recognised that God is, but also is as the other, as self-distinguishing, so that this other is God himself..., and that the sublation of this difference, this otherness, and the return of love, are the Spirit. – GWF Hegel, Lectures on the Philosophy of Religion: The Lectures of 1827, (ed. PC Hodgson, Berkeley: University of California Press, 1988), pp 468-469. Charles Darwin’s work was pivotal in the development of modern biology and the theory of evolution and played a prominent part in debates about religion and science. 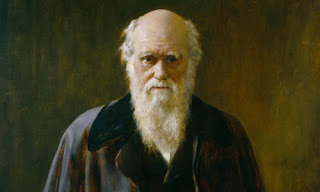 Darwin was baptised in the Church of England, and studied at Christ’s College, Cambridge, with the original intention of preparing for ordination as an Anglican priest. There he became interested in the theology of William Paley who presented the argument from divine design in nature to explain adaptation as God acting through laws of nature. His funeral took place in Westminster Abbey, with the full rites of the Church of England. 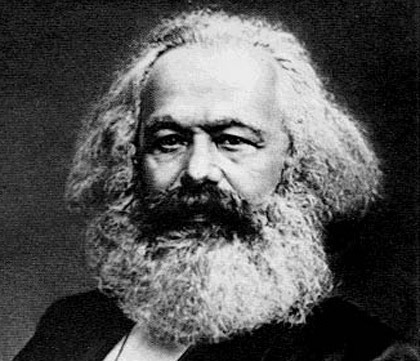 Karl Marx was born to a Jewish Lutheran family in Trier in 1818. Both his father and his mother were descended from long lines of rabbis, and his father, Heinrich Marx, converted to Lutheranism in 1816 or 1817. Karl was born in 1818 and baptised in 1824, but his mother Henriette did not convert until 1825, when Karl was seven. The essay is available in full at this link. In union with Christ, therefore, we turn above all our loving eyes to God, feel the most ardent thankfulness towards him, and sink joyfully to our knees before him. 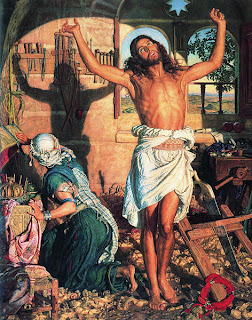 Then, when by union with Christ a more beautiful sun has risen for us, when we feel all our iniquity but at the same time rejoice over our redemption, we can for the first time love God, who previously appeared to us as an offended ruler but now appears as a forgiving father, as a kindly teacher. 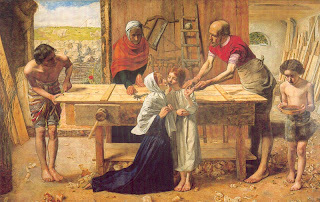 Thus, union with Christ consists in the most intimate, most vital communion with him, in having him before our eyes and in our hearts, and being so imbued with the highest love for Him, it also causes us to keep his commandments by sacrificing ourselves for one another, by being virtuous, but virtuous solely out of love for him (John 15: 9, 10, 12, 13, 14). Biblical criticism grew out of this rationalism the developed from the 17th to the 19th century. In the 19th century it was divided between the higher criticism, the study of the composition and history of Biblical texts, and lower criticism, the close examination of the text to establish their original or “correct” readings. These terms are largely no longer used, and contemporary criticism has seen the rise of new perspectives that draw on literary and multidisciplinary sociological approaches. Historical criticism seeks to locate the text in history: it asks such questions as when the text was written, who the author(s) might have been, and what history might be reconstructed from the answers. Literary criticism asks what audience the authors wrote for, their presumptive purpose, and the development of the text over time. Historical criticism was the dominant form of criticism until the late 20th century, when Biblical critics became interested in questions aimed more at the meaning of the text than its origins and developed methods drawn from mainstream literary criticism. The distinction is frequently referred to as one between diachronic and synchronic forms of criticism, the former concerned the development of texts through time, the latter treating texts as they exist at a particular moment, frequently the so-called "final form", meaning the Bible text as we have it today. Both Old Testament and New Testament criticism originated in the rationalism of the 17th and 18th centuries and developed within the context of the scientific approach to the humanities, especially history, which grew during the 19th century. Studies of the Old Testament and New Testament were often independent of each other, largely due to the difficulty of any single scholar having a sufficient grasp of the many languages required or of the cultural background for the different periods of the texts. Modern biblical criticism begins with the 17th century philosophers and theologians – Thomas Hobbes, Benedict Spinoza, Richard Simon and others – who began to ask questions about the origin of the Biblical text, especially the Pentateuch. They questioned the tradition that these books were written by Moses and asked who had written them. Jean Astruc (1684-1766), borrowing from methods of textual criticism used in examining Greek and Roman texts, he discovered what he believed were two distinct documents within Genesis. His methods were adopted by German scholars such as Johann Gottfried Eichhorn (1752-1827) and Wilhelm Martin Leberecht de Wette (1780-1849) in a movement that became known as the higher criticism. This school reached its apogee with the influential synthesis of Julius Wellhausen (1844-1918) in the 1870s. The implications of “higher criticism” were not welcomed by many religious scholars. Pope Leo XIII (1810-1903) condemned secular biblical scholarship in his encyclical Providentissimus Deus, and it was not until 1943 that Pope Pius XII gave the new scholarship his approval in his encyclical Divino Afflante Spiritu. The seminal figure in New Testament criticism was Hermann Samuel Reimarus (1694-1768), who applied to it the methodology of Greek and Latin textual studies and became convinced that very little of what it said could be accepted as incontrovertibly true. His conclusions appealed to the rationalism of 18th century intellectuals, but were deeply troubling to contemporary believers. In 1769, Baron d’Holbach (1723-1789) wrote Ecce Homo – The History of Jesus of Nazareth, a Critical Inquiry, the first Life of Jesus in which he is described as a mere historical man. It was published anonymously in Amsterdam. It was translated into English by George Houston, and published in Edinburgh (1799) and London (1813). For this “blasphemy,” Houston was sentenced to two years in prison. It was later published in New York in 1827. 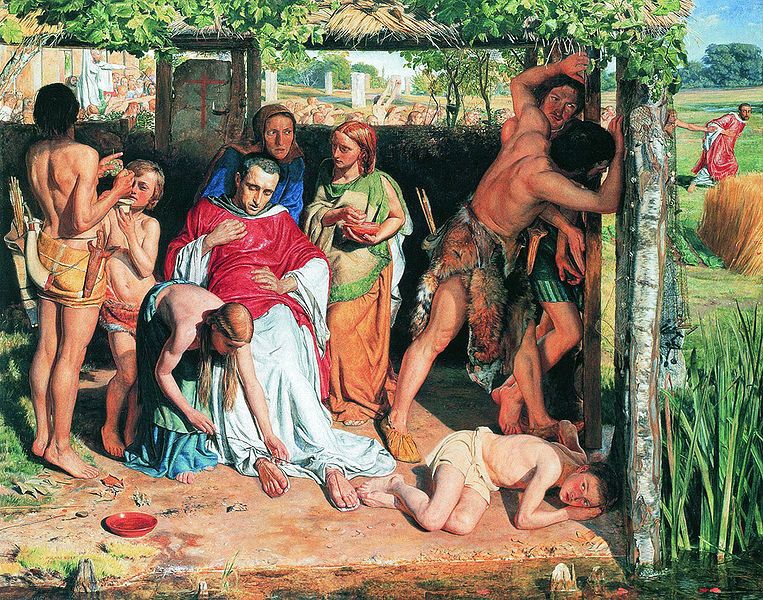 Important scholars in the 19th century included David Strauss, Ernest Renan, Johannes Weiss, Albert Schweitzer and others, who investigated the “historical Jesus” within the Gospel narratives. For his part, HJ Holtzmann established a chronology for the composition of books in the New Testament, and established the two-source hypothesis – the hypothesis that the Gospels according to Saint Matthew and Saint Luke drew on the Gospel according to Saint Mark and a hypothetical document, known as “Q”. In other modules, you have opportunities to explore these and other approaches to Biblical criticism, including textual criticism or “lower criticism,” source criticism, and so on. But how did these approaches have an impact on Anglican theology in the 19th century? These 19th century challenges posed by science, reason and Biblical criticism and by the complete shift in thinking and understanding, at first polarised Anglican theological thinking in England, with many arguing that there was a clear-cut choice between the Bible and atheism. But Anglicanism woke in a very dramatic way to Biblical criticism in March 1860 with the publication of a collection of seven essays, Essays and Reviews, edited by John William Parker. 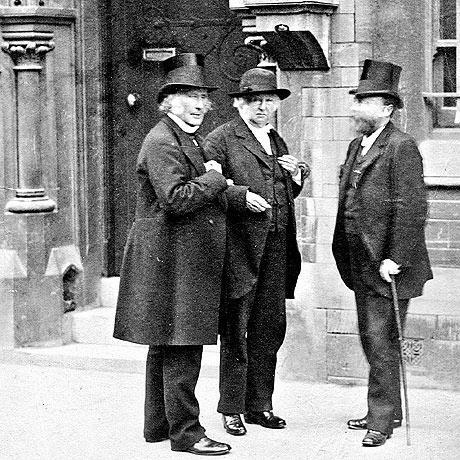 The topics covered the biblical research of the German critics, the evidence for Christianity, religious thought in England, and the cosmology of Genesis. Each essay was written independently and there was no overall editorial policy, each contributor choosing his own theme. The seven essayists were: Frederick Temple, who later became Archbishop of Canterbury; Rowland Williams, then tutor at Cambridge and later Professor and Vice-Principal of Saint David’s University College, Lampeter; Baden Powell, Anglican priest and Professor of Geometry at Oxford; Henry Bristow Wilson, fellow of Saint John’s College, Oxford, and the sole layman among the authors; Charles Wycliffe Goodwin; Mark Pattison, tutor at Lincoln College, Oxford; and Benjamin Jowett, Fellow of Balliol College, Oxford (later Master) and Regius Professor of Greek, Oxford University. The book was published just four months after Darwin’s On the Origin of Species, and it summed up a three-quarter-century-long challenge to biblical history by the higher critics and to biblical prehistory by scientists working in the new fields of geology and biology. Essays and Reviews sold 22,000 copies in two years, more than Darwin’s On the Origin of Species sold in its first 20 years. Today, the essay topics and conclusions may seem innocuous or innocent, but the collection sparked five years of increasingly polarised debate. The essay ‘On the interpretation of scripture’ was written by Benjamin Jowett, who insisted that the Bible ought to be treated as scholars treated classical texts. Jowett contended that revelation was ongoing and that the scriptures were always subject to reinterpretation as each generation encountered them. In 1863, he was brought before the vice-chancellor's court for teaching contrary to the doctrines of the Church of England, but the case was eventually dropped. Two of the authors, Williams and Wilson, were indicted before the Court of Arches for heresy and lost their jobs by 1862. They appealed to the Judicial Committee of the Privy Council and in 1864 it overturned the judgment, “dismissing hell with costs,” to the fury of Bishop Wilberforce. In all, 137,000 members of the laity signed a letter of thanks to the Archbishops of Canterbury and York for voting against the committee, and a declaration in favour of biblical inspiration and eternal torments, was drawn up in Oxford and signed by 11,000 of the clergy. Wilberforce went to the Convocation of Canterbury and in June obtained synodical condemnation of Essays and Reviews. However, three key Cambridge theologians would develop these approaches and ideas: Brooke Foss Westcott (1825-1901), Joseph Barber Lightfoot (1828-1889), and the Dublin-born FJA Hort (1828-1892). They argued that scientific discoveries, historical-critical arguments and sceptical conclusions deserved rational discussion. Together, they produced a new, definitive version of the Greek New Testament and were instrumental in producing the Revised Standard Version. Their thinking also influenced Charles Gore (1853-1932) and the other scholars who contributed to the collection of essays Lux Mundi: A Series of Studies in the Religion of the Incarnation (1889). Ten editions were published within a year. Over the span of a generation, Anglican theology had moved from seeing Darwin as an enemy to recognising him as a friend. At the same time as theology and biblical studies were being reimaged, reshaped and reimaged, the Church was being reimaged, reshaped and reimaged by architects, poets, hymn-writers and artists. In England, the liturgical revival introduced by the Oxford Movement created a demand for new and large churches to cater for the growing population. The movement inspired an interest in Gothic architecture, which was seen as the most appropriate style for parish churches. The Cambridge Camden Society, through its journal The Ecclesiologist, encouraged Gothic architecture which soon became the standard for new cathedral and parish churches in England and Wales. 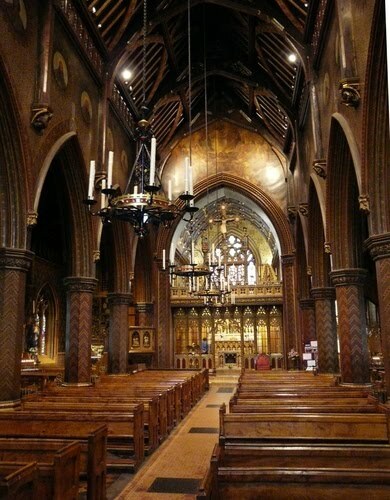 Saint Luke’s Church, Chelsea (1820-1824) was the first Gothic Revival church in London. The Gothic style was developed by AWN Pugin, who also made it fashionable in Ireland, George Edmund Street, Charles Barry, and William Burges, and it replaced the previous preference for classical design. John Ruskin supplemented Pugin’s ideas in two influential works, The Seven Lamps of Architecture (1849) and The Stones of Venice (1853). Yes this was a century of great hymn-writers and composers: in Ireland, we had Cecil Frances Alexander, in America there was Ira Sankey, Fanny Crosby; for composers think of the Irish-born Charles Villiers Stanford, or think of Hubert Parry. 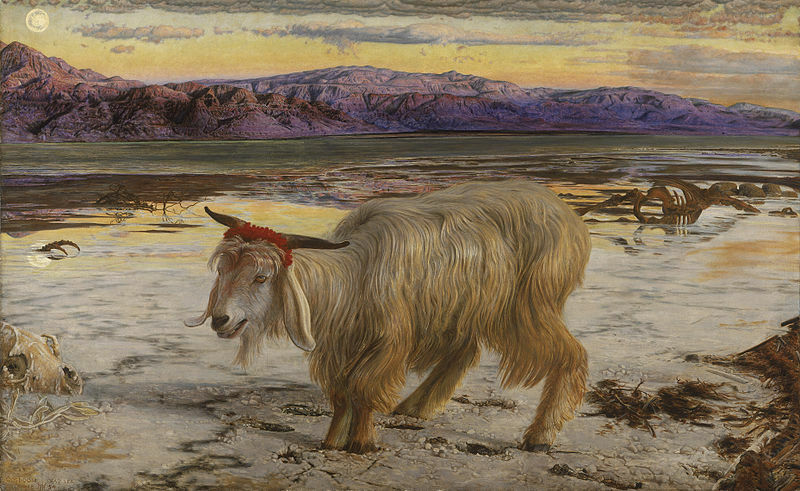 By the end of the Victorian era, we had come to read the Bible in a new way, but we had also come to look at churches in a new way, to look at Biblical art in a new way, to sing new hymns, to read new poems. The ways we thought in the Church, and the ways we thought about the Church had been reshaped. It is a constant debate in the field of Church History whether the rise of Methodism and the preaching and impact of the Wesley brothers forestalled a revolution in England. As we explore this period in the history of the Church (1660-1800), we cannot ignore the social and political impact of Methodism. Nor can we ignore its impact on the Church of Ireland. 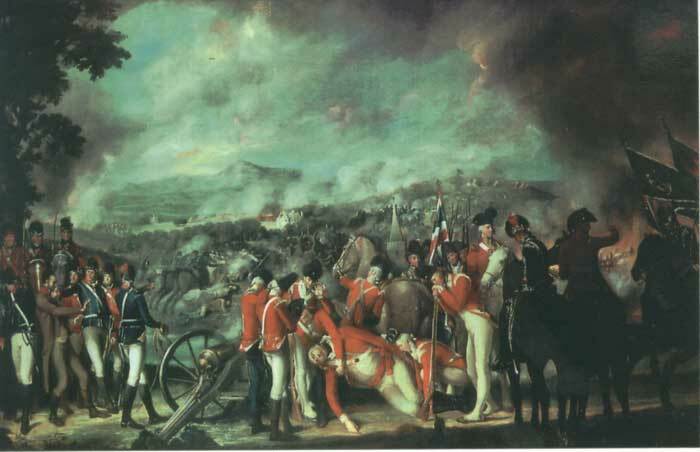 At the same time, as we consider the wider political and social context in which the Church of Ireland found itself, we have to realise that there is a clear link connecting Bunker Hill, the Bastille and Boolavogue. And we also have to take account of the impact of the American Revolution on the Episcopal Church and the future shape of the Anglican Communion; the impact of the French Revolution on French Church, and more generally on the whole Christian Church; and, of course, the impact of the 1798 Rising on the Church in Ireland and the Church of Ireland. Jakob Spenner and the rise of Pietism in Germany in the late 17th century, and Jonathan Edwards and George Whitefield and the Great Awakening in America at the beginning of the 18th century are the expressions of two movements – the Pietists and the Great Awakening – that had important influences on the Wesley brothers and the rise of Methodism later in the 18th century. The sobriquet “Methodist” was originally given in 1729 to a group at Oxford known as the Holy Club and led by John Wesley (1703-1791). 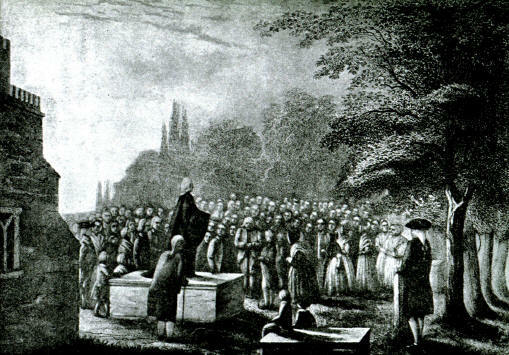 Wesley traced the “first rise” of Methodism to those early years, and the second stage to 1736 when the “rudiments of a Methodist society” appeared in Georgia, where the Wesley brothers, John and Charles, were working as Anglican priests and missionaries with the Society for the Propagation of the Gospel (SPG, later SPG and now the United Society or simply Us). During their voyage to America, and their stay in Georgia, the Wesley brothers were deeply influenced by the Moravians, who in turn had taken on much of the teachings and experiences of the German Pietists. But John Wesley alienated the colonists, and returned to England in 1737. Then, in 1738, Wesley helped to reframe the rules of an Anglican society that met in Fetter Lane, London. Once again, the Wesleys were in close contact with the Moravians in London, and within three days of each other in May 1738 the brothers John and Charles had vital Christian experiences – what John described as his heart being “strangely warmed” when a passage was being read from Martin Luther’s Preface to the Epistle to the Romans. We could see this as the turning point in the Evangelical Revival on this side of the Atlantic. The Wesleys preached throughout Britain and Ireland: John Wesley’s Journal records his travels over 250,000 miles, and he visited Ireland 21 times in a 42-year period from 1747 to 1789. When John Wesley found the doors of Anglican churches closed to him, he followed the example of George Whitefield, and preached in the open. The first Methodist Conference met in 1744, and the first Methodist circuits were organised as early as 1746. Methodism gained strong positions throughout Ireland, England and Wales, but notably made slower headway in Scotland. In America, Methodism owed its beginnings to two Irish emigrants, Robert Strawbridge from Drumsna, who settled in Maryland, and Philip Embury, who settled in New York. 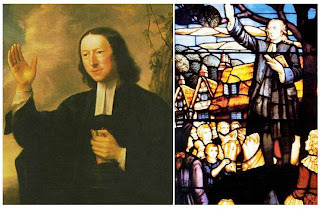 The break with Anglicanism came when John Wesley decided to ordain local preachers for areas in which Methodists could not receive the sacraments. Although Wesley hoped that Methodism could stay within the boundaries of Anglicanism, and he died an Anglican priest, Methodism became a separate organisation and a separate church. 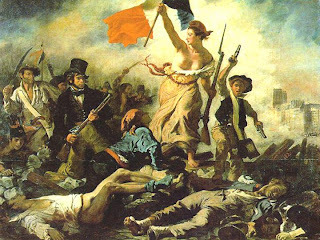 Although the American Revolution pre-dated the French revolution by 13 years, many of the American revolutionaries owed a lot to French thinking at the time. This contained a strong element of religious polemic and debate. The political philosophy of the American revolutionaries had much in common with, in some places, René Descartes (1596-1650), the French philosopher who has been called the “Father of Modern Philosophy,” and, in others, with Jean-Jacques Rousseau (1712-1778), who began life in Geneva as a Calvinist, moved to France where he converted to Catholicism, returned to Geneva and reconverted to Calvinism, and then ended his days in France as a Deist. 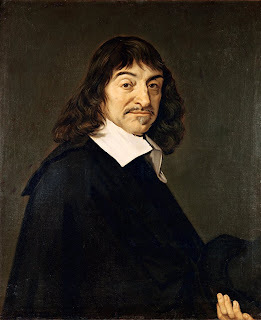 The American Declaration of Independence appeals to God as the ultimate source of justification for the liberties demanded by the authors, and the appeal to self-evident truth, in order to justify the basis of the Declaration, can be traced to Descartes. Karl Barth (1886-1968) observed that the Declaration of Independence represented a Calvinism gone to seed, although its principal author, Thomas Jefferson (1743-1826) was a Deist at heart and owed much to English and French political theory. After the American Revolution, many Anglicans fled New England, moving north and settling in Canada. There, Anglicanism has been strongly influenced by a steady flow of clergy and missionaries from the Church of Ireland. Anglicans who remained in the new United States after the revolution felt isolated from the Church of England, whose bishops were unwilling or unable to provide new bishops to serve the new church. The first American bishop was not secured for another 18 years, until 1784 – the same year American Methodists broke with Anglicanism as a consequence of John Wesley’s ordinations of a superintendent or bishop for America. That same year saw the consecration of Samuel Seabury (1729-1796) by bishops from the nonjuring Episcopal Church of Scotland. The King’s Chapel was the first Anglican or Episcopalian church in Boston, and the first church in the US to call itself a Unitarian church. As an aside, we should also note that, although Unitarian teachings in America first arose among the Congregationalists of New England, the first preacher to call himself a “Unitarian” was a post-independence Episcopalian, James Freeman (1759-1835). 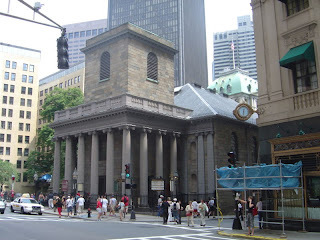 King’s Chapel, which had been founded in 1686, was the first Anglican or Episcopalian Church in Boston and in New England. The Rector, the Revd Henry Caner, a Loyalist, had been forced to leave in 1776 when the British troops evacuated Boston. Freeman was chosen as the minister of the King’s Chapel in 1782, and he immediately set about revising The Book of Common Prayer for use in his church. Bishop Samuel Seabury refused to ordain Freeman, who had been chosen as the minster of the King’s Chapel, and in 1785 Freeman turned the King’s Chapel in Boston into the first Unitarian church in North America. The church continues to use its own unique Anglican-Unitarian hybrid liturgy. 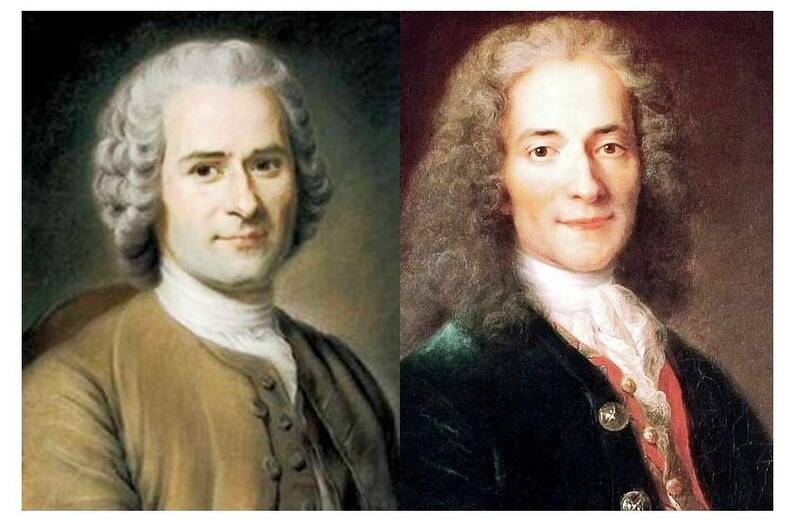 Two of the key writers and thinkers in the wave of revolutionary thought that led to the French Revolution were Rousseau and Voltaire. Jean-Jacques Rousseau (1712-1778) was, in turn, a Protestant, a Catholic, and a Deist. Rousseau argued that people, if left to themselves, are noble and good. Instead of the concept of the divine right of kings, he put forward the concept of the Social Contract (1762), which would pave the way for the American Declaration of Independence (1776) and, of course, the French Revolution. Voltaire, the alias used by Francois-Marie Arouet (1694-1778), believed God was to be adored and served, not to be argued over or made the object of institutional religion. Voltaire attacked the Church with remorseless wit, and saw nothing in it but deceit and corruption. His monumental works was his Philosophical Dictionary, based on his articles for Denis Diderot’s Encyclopaedia, first published secretly in 1759. The French Revolution was a revolution against the excesses of both church and state. Most of the land was owned by the nobility or the clergy. Although violence was not part of the original plan for social change of either Rousseau or Voltaire, the Bastille was attacked on 14 July 1789, the prisoners were freed, and the building was razed to the ground. Within a month, a “Declaration on the Rights of Man” was promulgated, at the suggestion of Bishop Talleyrand (1754-1838), and Church lands were taken into public ownership in an attempt to finance the revolutionary changes taking place. Charles Maurice de Talleyrand-Périgord is an interesting figure in the French revolution. A prince by birth, he became Bishop of Autun in 1789. That year he joined the revolution, and became a member of the Constitutional Assembly, taking the oath to the Civil Constitution, and consecrating as bishops priests who were prepared to take that oath as bishops to fill the vacated dioceses. Talleyrand was excommunicated in 1793, but he continued to be active in politics, becoming Foreign Minister in 1796, taking charge of the Provisional Government in 1814, and serving as the French ambassador to England from 1830 to 1834. But during the early days of the French revolution, the Jacobins emerged as a key party. They were so named because they first met regularly in the Jacobin convent in Paris. Their leaders included Marat, Danton, and Robespierre, and with an army of peasants they marched on Paris in 1792. Those nobles and clergy who opposed the revolution were executed summarily, and Louis XVI went to the guillotine on 21 January 1793. From 1793, France was almost continuously at war with its European neighbours, including England, which had consequences for Ireland, and for the churches in Ireland, too. The Rising of 1798 comes as a natural sequence to a number of reforms, and unmet demands for reform throughout Ireland at this time, demands and reforms that had major impact on the Church of Ireland and its members. By 1745, a vigorous campaign was under way in Dublin to overturn the oligarchic powers of the self-selecting aldermen who ruled the city, which now had a population of 110,000. This campaign was led by two members of the Church of Ireland – Charles Lucas and James Digges La Touche. 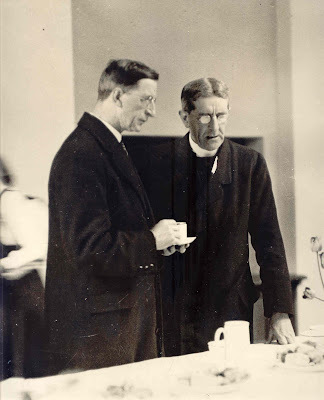 Lucas was also more open to the rights of Presbyterians, which further alienated him from many of the bishops, clergy, and others in the Church of Ireland. But the successes of Lucas and La Touche inspired similar reforms in other cities and towns. The Church of Ireland was also arousing increasing hostility because of the contentious issue of tithes. Tithes were an important factor in agitation in the 1760s associated with the Hearts of Oak (drawing support from Presbyterians, Anglicans and Catholics) in Ulster, and the Whiteboys (mainly Catholics) in Munster. Draconian legislation was introduced in 1776, and in that year 20 Whiteboys were executed, some of them on the orders of magistrates who were also clergy of the Church of Ireland. That was the year of the American Revolution, and it saw the growth of the Volunteer movement, aimed on the one-hand at controlling the Whiteboys and on the other at replacing the soldiers withdrawn from Ireland to fight in America. The next wave of agrarian unrest came with the Rightboys in the 1780s. Curiously, by now some of the gentry realised that release from the burden of tithes would quieten their tenants, and also leave them to pay their rents more easily. This challenge provoked a famous response from Richard Woodward, Bishop of Cloyne, who warned in 1786 that if the existing established church were overturned, the state would soon share its fate. The government was worried that continuing clerical training in France would provide a new generation of revolutionary priests – those who were trained in France at the time of the French Revolution included Father John Murphy of Boolavogue. And so, in 1795, the same year as the formation of the Grand Orange Lodge of Ireland, Maynooth was founded with government funding as the Royal College of Saint Patrick. 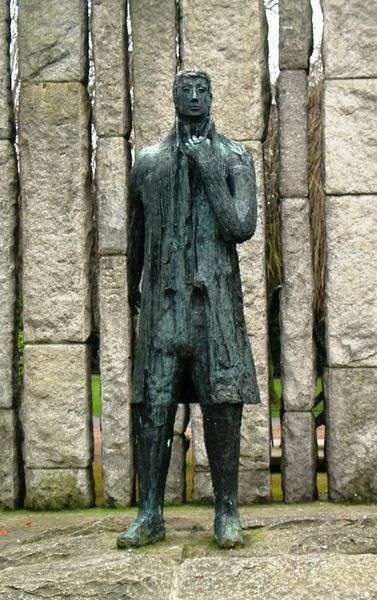 Among the founding members of the United Irishmen in 1791 were Thomas Russell, Theobald Wolfe Tone and Simon Butler, all active and pious members of the Church of Ireland. After the society was proscribed, Russell, Tone and others climbed Cave Hill outside Belfast in June 1795, and solemnly swore not to desist in their efforts until Ireland had asserted its independence. Prominent among the United Irishmen in 1798 was Lord Edward FitzGerald (1763-1798), whose uncles and cousins included a Bishop of Cork, an Archdeacon of Ross, and a Rector of the famous Shandon church in Cork. The brothers Henry Sheares (1755-1798) and John Sheares (1766-1798), were the most noticeable of United Irishmen among the parishioners of Saint Michan’s, Dublin – both were hanged publicly on 14 July 1798. • While Wesley was a parish priest in Savanah, Georgia. But in Georgia, he had an unhappy love affair, which culminated in John's refusal to serve communion to his prospective wife and her husband. Her husband charged John with slander for disgracing his wife's honour. He returned to England in 1738, depressed and beaten. It was at this point that he turned once again to the Moravians. After his Aldersgate experience on 24 May 1738, at a Moravian meeting in Aldersgate Street, London, when he heard a reading of Luther’s Preface to the Epistle to the Romans, he penned the now famous lines: “I felt my heart strangely warmed.” This revolutionised the character and method of his ministry. In 1746, he read Peter King (Lord King) on the Primitive Church (An Enquiry into the Constitution, Discipline, Unity and Worship of the Primitive Church that flourished within the first Three Hundred Years after Christ), and was convinced by this that apostolic succession was a fiction, that in fact that he was “a scriptural episcopos as much as any man in England.” Some years later, Bishop Edward Stillingfleet’s Irenicon led him to renounce the opinion that neither Christ nor his apostles prescribed any form of Church government, and to declare ordination valid when performed by a presbyter/priest. 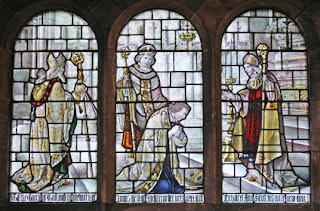 It was not until about 40 years later that he ordained by the laying on of hands, and even then only for those who would work outside England. He died peacefully on 2 March 1791, and is buried in a small graveyard behind Wesley’s Chapel in City Road, London. Wesley is listed as Number 50 on the BBC’s list of the 100 Greatest Britons. He was one of the signers of the White Plains protest in April 1775 against all unlawful congresses and committees, and during the American Revolution was a devoted loyalist. He wrote the Free Thoughts on the Proceedings of the Continental Congress (1774) by AW Farmer (i.e. A Westchester Farmer). This was followed by a second Farmer’s Letter, The Congress Canvassed (1774), answered by Alexander Hamilton in A Full Vindication of the Measures of the Congress, from the Calumnies of their Enemies. A third Farmer’s Letter replied to Hamilton’s View of the Controversy between Great Britain and her Colonies, in a broader and abler treatment than in the previous pamphlets. To this third pamphlet Hamilton replied with The Farmer Refuted (1775). On 25 March 1783, a meeting of 10 Episcopal clergy in Woodbury, Connecticut, elected Seabury bishop as their second choice (their first choice declined for health reasons). There were no Anglican bishops in the Americas to consecrate him, so he sailed to London on 7 July. To the present day, the ECUSA/TEC liturgy follows to the main features of the Scottish Episcopalian rite in one of its Eucharistic liturgies. The anniversary of Seabury’s consecration is now a lesser feast day in the calendars of both ECUSA/TEC and the Anglican Church of Canada. Seabury’s consecration by the bishops in Scotland caused alarm in the (Whig) British government, raising fears of an entirely Jacobite church in the US. Parliament was persuaded to make provision for the consecration of foreign bishops. Seabury’s tenacity made possible a continued relationship between the American and English churches. Seabury kept strictly his obligation to the Scots to study and quietly advocate their point of view in Eucharistic matters. 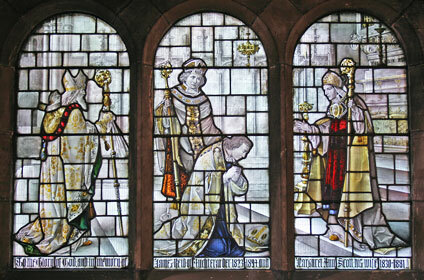 His defence of the Scottish service – especially its restoration of the epiclesis or invocation of the Holy Spirit, influenced the first Book of Common Prayer adopted by the Episcopal Church in 1789. The Prayer of Consecration in the 1662 Book of Common Prayer of the Church of England ended with the Words of Institution. But the Scottish Rite continued with a Prayer of Oblation based on the ancient classical models of Consecration Prayers found in Roman and Orthodox Christianity. Tone was arrested on board the Hoche by an English squadron at Rathmullan on Lough Swilly, Co Donegal, on 12 October 1798. He was sentenced to be hanged on 12 November 1798. Before this sentence was carried out, he suffered a fatal neck wound. 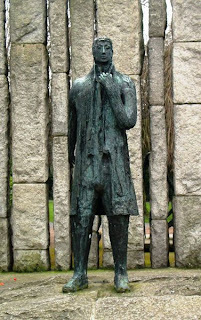 According to contemporary accounts, the wound was elf-inflicted; he died a week later at the age of 35 in prison in Dublin and is buried in the former Church of Ireland churchyard in Bodenstown, Co Kildare.